More Students "Opt Out" Of The Inappropriate New York State Common Core Tests. New York State Education Department finally published the final "opt out" numbers and found that the "opt out" percentage increased by 2% statewide from 20% to 22% of the total student population eligible to take the tests. The NYSED claimed it as flat but that statewide the almost 2% increase means that an additional 22,000 students refused to take the badly flawed tests. That means a total of 240,000 students "opted out", up from 218,000 last year and 54,000 (5%) in 2014. NYSED claimed only 21% actually "opted out" by receiving a parent's written statement but an additional 1% were absent without parental notification. Last year NYSED did not breakdown the absences and therefore it made it seem that their was only a small increase in the "opt out" rate. New York City increased their "opt out" rate from 1.5% to 2.4% (or 2% to 3% when absences are included). The low "opt out" rate in New York City are due to three factors. A minority and immigrant population, union leadership's non-support of the "opt out" movement, and a hostile DOE response to the "opt out" movement including threats to take disciplinary action against teachers who express support to their students and their parents. This theme was common in all the major urban cities throughout the State. By contrast, the mainly white middle class school districts, especially in Long Island were the epicenter of the "opt out" movement is obvious and where 52% of the total student population "opted out". Listed below are the Long Island school districts with the highest "opt out" rates. Will the "opt out" movement continue to expand? Only if the movement can make more inroads in minority and immigrant communities who appear to be either afraid or uninterested in doing what's in the best interest of their child and the Common Core based inappropriate State tests are not in the student's best interest as its not age appropriate and just brings fear and loathing to their child. Why Hillary Clinton Is Untrustworthy When It Comes To Public Education. I have been hearing how Hillary Clinton is the "lesser of the two evils" when it comes to whom I should vote for. According to my fellow blogger nyc educator, he will be holding his nose and vote for Hillary Clinton simply because Donald Trump is worse. If one looks at the education planks of the two parties, its obvious the Democratic party plank is pro public school while the Republican plank is pro charter and would allow vouchers which would dismantle the public school sector. However, experience has shown that the elected President usually disregards their party's plank and imposes his or her own policies. Just look at what President Obama did to the public schools during his eight years as President? He bribed states in using hastily developed high-stakes Common Core based testing and teacher evaluations using "junk Science" that has resulted in massive teacher shortages nationwide. Moreover, he is a charter school supporter and education reformer that has hurt the public schools by diverting scarce resources to the charter schools without the accountability demanded in the public school sector. Now back to Hillary Clinton. after the Democratic National Committee unveiled their education plank, Eli Broad, one of the most powerful education reformers in the country was concerned. However, according to the Wall Street Journal, Hillary Clinton s husband Bill Clinton quickly reassured Mr. Broad that the DNC's agenda was not Hillary's and she will continue to support the charter school sector. 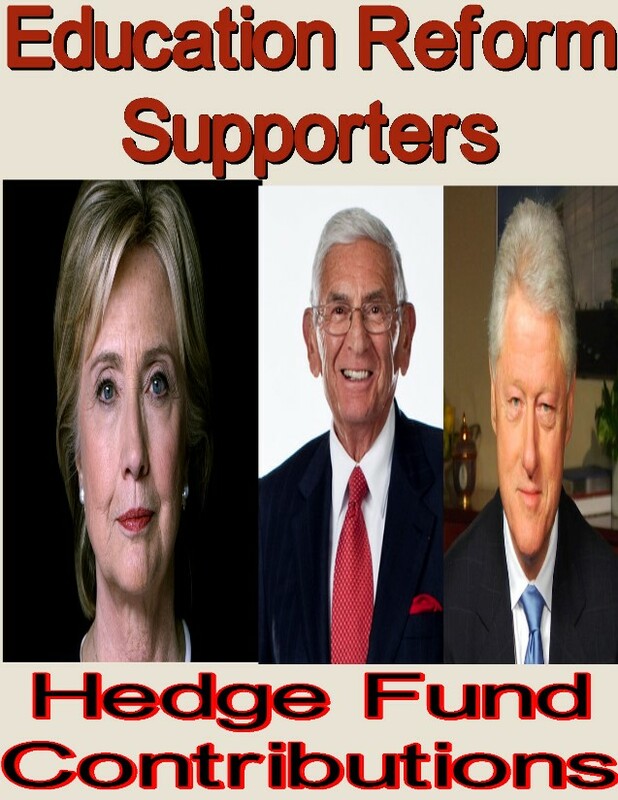 Now it seems that the deep-pocketed Hedge Funds who support and fund charter schools and education reform organizations have contributed, according to a Wall Street Journal article, to Hillary Clinton's campaign $48.5 million dollars in Hedge Fund donations compared to $19,000 for Donald Trump. Do you really think that Hillary Clinton will not support the charter schools given the massive amounts of money the hedge fund community has given to her campaign and their close relationship with Eli Broad? If Hillary Clinton becomes President of the United States do you really believe that she will abandon the charter school sector? The answer is a loud no and that means that for every dollar that goes to the charter school sector, that's a dollar taken away from public schools and with a charter friendly supporter as President, look for the non-accountable charter school sector to continue to bloom at the expense of the public school system. If you really trust Hillary Clinton to safeguard public school education then I have a bridge in Brooklyn to sell you. One of the many issues facing the renewal schools is not only the poor academic skills of the student body but the feeling that these schools are unsafe for students and staff alike. In Queens, August Martin and John Adams high schools were declared "out of time" and many of the staff either refused to reapply for their jobs or were not selected, replaced by inexperienced or "newbie" teachers. How that helps these schools and their students are beyond me. Then there is William Cullen Bryant High School with one of the worst Principals in the City pushing out experienced staff and allegedly giving double credits to the students. How about the infamous Flushing High School who has had five principals in six years and where massive excessing occurred wile staff morale is at rock bottom. Finally, there are Martin Van Buren and Richmond Hill where the most weapons were confiscated and most arrests occurred. Who in their right mind would risk their reputation and well-being working in these schools? Interestingly, the Chapter Leader of Richmond Hill has been playing up the school while admitting that "working at Richmond Hill requires a huge commitment", meaning that teachers are under continuous pressure to improve student performance or else. Moreover, the Principal Neil Garnesh is rated poorly by many teachers and is in the bottom rung of trust for High School principals in Queens. Finally, the school cannot attract academically proficient students to the school and has many teachers not certified in subjects they are teaching in (Earth Science is a prime example). Now it seems Richmond Hill has a new distinction, the school with the most student arrests in Queens. Cosmetic changes to the renewal schools is not the answer, First, hire "the best and not cheapest" teachers for staff and develop a magnet program (Gateway) for academically performing students Second, bring back high school zoning so that the schools could retain more academically performing students in the neighborhood. Finally, recruit a school administration that willing to collaborate, .and not dictate to the staff. No :Leadership Academy Principals please. These three simple steps will slowly improve the renewal schools not how its being done by the DOE. More about the DOE's renewal school failure in my next post. Why Didn't Metropolitan High School Hire An ATR To Cover A Living Environment Class? I'm sure this will not surprise my many readers or ATRs but I was told by a very smart and motivated summer school student that he failed second semester Living Environment (Biology lite) because his teacher was in a car accident and never returned. Apparently, the school, Metropolitan High School, didn't bother to interview ATR Living Environment teachers to cover the class and help the students pass not only the class but the Regents. Instead the school administration decided to have day to day substitute teachers cover the class and the result was predictable, lots of failures. My question, if the student is being truthful, and I believe he is. Why didn't Metropolitan High School hire an ATR certified to teach Living Environment? Moreover, where were the school's Chapter Leader and the District Representative in allowing such a travesty to the students? 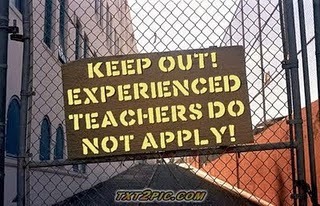 Finally, how can the school be allowed to hire day to day substitutes for long-term vacancies? Didn't the ATR agreement prohibit this? Of course the answer is that the DOE ignores these abuses of the contract and our disconnected union leadership buries their collective heads in the sand rather than fight for the students and their members. 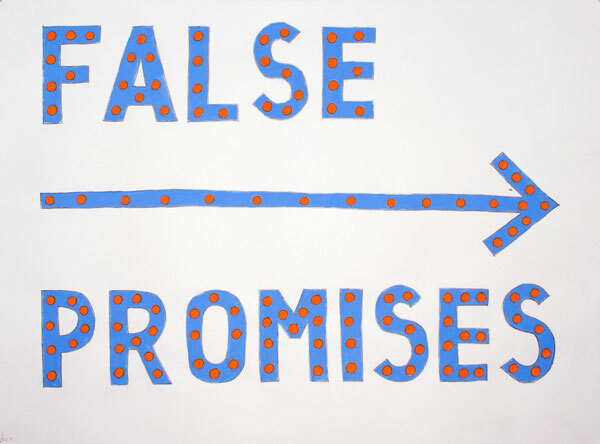 Both the DOE and UFT rather than ensuring every classroom has a certified teacher teacher in the subject that needs a long-term replacement, its better to ignore the violations of the contract and pretend everybody is doing what's best for the students. However, the truth is far different as students suffer without quality teachers. In other words both the DOE and UFT are complicit in what Metropolitan High School apparently did and continues the Bloomberg policy of "children last"....Always. Why Teachers Should Not Resign Under Section 3020-a If You Are Charged With Incompetence. It's common knowledge that most NYSUT attorneys recommend that the teacher resign rather than face an almost certain "award" of termination is found to be incompetent (ineffective) by the arbitrator. 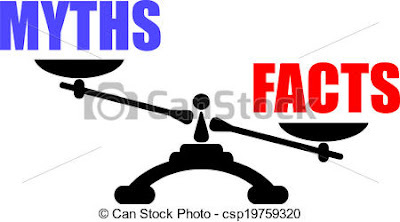 The NYSUT attorney will tell the hapless teacher how the UFT leadership agreed to a more draconian teacher evaluation system that shifts the burden of proof onto the teacher rather than the DOE. The NYSUT attorney will tell you by resigning the teacher could get another teaching position outside the DOE. While some charter and private schools might hire the teacher, many teachers who were terminated by the DOE have also found positions in these schools as well. Here are some reasons not to resign and make the NYSUT attorney to fight for your job. First, despite how the new teacher evaluation that makes it easier to terminate alleged "ineffective" teachers, if you can show evidence of discriminatory or disparate treatment relative to your colleagues. For example dumping the majority of behaviorally challenged students in the cohort into your class and the administration's refusal to discipline them or using a different observation rubric on the teacher than used on other teachers. Second, by resigning you will probably have a difficult time in getting NYS unemployment which is $420 per week for 26 weeks.. By contrast, if the arbitrator terminates you for incompetence you will at least, get NYS unemployment and have some money coming in for a half a year. Third, by resigning you are immediately taken off payroll and health benefits stop,unless the DOE is willing to make a deal to keep you on for the remaining semester. On the other hand, by forcing the NYSUT attorney to fight for you, you can stay on payroll for another 6 to 12 months before a decision to terminate you is made. Finally, if you resign or get terminated you automatically lose all the retroactive pay owed to you. That could result in almost $45,000 for top salaried teachers who resign this school year. Therefore, its in the teacher's best interest to fight the DOE charges. Back in January of this year the NYS courts dismissed a class action lawsuit by four teachers who resigned and where told they could not receive their retroactive payments. The entire case can be found on EdlLawFaqs blog and is interesting reading. The bottom line is if you are charged with incompetence by the DOE under 3020-a then make the DOE take you all the way through the 3020-a hearing process and if your NYSUT attorney recommends otherwise and is stubborn then it might be worthwhile to look into a private attorney. Resigning gives the teacher no benefits and will result in the teacher not receiving unemployment and with a 0% chance of getting their retroactive raises. Of course every teacher should look at all the different issues whether one should resign or fight the 3020-a charges of incompetence but on the face of it most teachers should try to fight the DOE charges as best they can and not make it easy for the DOE to remove you from their payroll. 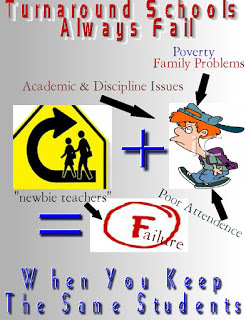 The Academic Achievement Gap Is Caused By Family And Community, Not The Schools. Approximately 50 years ago, the Coleman Report was published and it showed that the primary factor in a student's academic achievement was the family environment, the community the child lived in, and peer interaction. On the other hand, the quality of the schools and teachers had minimal effects on the student's academic achievement gap. While many education scholars have tried to debunk the Coleman Report but the study has stood the test of time. Even the esteemed Democratic Senator Daniel Patrick Moynihan realized that the family unit was the primary factor in the success or failure of a child. He even wrote his own report that showed racial inequality was due to the family structure. The Senator started citing the Coleman Report as well as his own study in speeches around the nation and received blowback from Liberals and Progressives for laying the blame on the crumbling family unit (lack of fathers and lack of income) in high poverty Black communities and not on the inequality and segregation of schools. Now 50 years later both the Coleman Report and Daniel Patrick Moynihan's study has withstood the test of time and while education scholars have used more sophisticated methods in determining the factors that cause the student achievement gap, the bottom line is it all starts with the family and community environment that the child is exposed to before they even start school. Chalkbeat has an excellent analysis of this and can be found Here. While schools matter, the most important factor is the family unit and the income that unit generates and when children grow up with limited childcare, lack of fathers (role models, and financial stability) and is surrounded by similar family units in low income communities, these students are starting off educationally behind when they enter school and will increase the academic achievement gap going forward unless drastic action is taken to improve the family environment. Blaming the schools and their teachers for the academic achievement gap is simply ignoring the real truth. 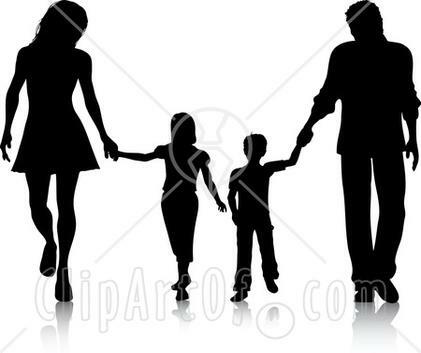 Its the family unit and the community the child lives in that are the primary factors that determine a child's academic success or failure not the quality of their teachers. Is student diversity of the schools a worthy goal? Absolutely. However, will it really help narrow the student academic achievement? Not likely, since the students will still be leaving school back to a low-income community (especially the public housing complexes) that feels unsafe, and insecure where deep poverty and lack of fathers are common, and their role models are the community's adults who hang out on the corner rather than their teacher. Not a hopeful outcome for educational success. Finally, Michael Mulgrew Backs Teachers On The Weakened Student Discipline Code. One of my major criticisms with our disconnected union leadership was that they were more interested in playing nice with the De Blasio/Farina administration then advocate for teachers. They even negotiated a contract that was highly favorable to the City with minuscule raises and money that had winners and losers and did not make members whole until 2020. In addition, it screwed the majority of municipal unions who had received their 2009-10 raises. Finally, the contract made ATRs second class citizens, the only union that allowed "givebacks". 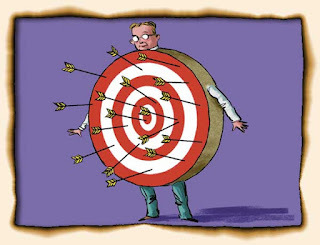 Remember, our union agreed to evaluate teachers on "junk Science", supported Common Core, and claimed victory when only 70% of the peer validators (the rat squad) found teachers "ineffective", which leads to almost certain termination in the new 3020-a regulations. I have found one area that our union leadership has backed teachers, that is their objection to the weakening of the student discipline code that has increasingly made schools unsafe. Even the CSA has objected to the De Blasio/Farina administration weakening student discipline. Both the UFT and CSA believe that school administrators are downgrading serious incidents and refuse to report even criminal incidents for fear of retribution by the DOE. To the school administration its easier to reprimand little Johnny and send him back to class to disrupt the other students then fill out the paperwork and get permission from the Superintendent to appeal to DOE central for a suspension. Parents, who:s students come home and report how the administration refuses to take action on disruptive and violent students will either pull out their child out of the school and most certainly never send any other of their academically performing students to that school That's why the Renewal Schools do so terrible. It does not take a rocket scientist to realize that a lax student discipline culture at a school is not conducive to academic achievement. To me, as, a teacher and parent it's more important to protect the children of the school and to run a peaceful classroom then continually allow badly behaved and disruptive students to repeatedly go back to the classroom after a restorative justice session only to act up time and again. The De Blasio/Farina weakened discipline code is an academic disaster for the majority of students in the New York City Public Schools. In today's New York Post there is an article about the two female teachers at James Madison High School in Brooklyn who were caught in an empty classroom being intimate with each other was targeted for termination and were initially terminated by the State arbitrators in their 3020-a cases, under extreme media publicity and DOE pressure. However, on appeal both teachers had their terminations overturned by the judge under section 75-11 and both ended up with one year suspensions without pay or benefits. By contrast, John Bowne High School Principal Howard Kwait has cost the DOE $500,000 to settle two separate sexual harassment lawsuits and having a female student falsely arrested. Yet, Howard Kwait was not removed from the school and the DOE never bothered to file 3020-a charges against his alleged misconduct, including accusations of grade changing. To me that is a double standard. While I don't condone what the two teachers did in the empty classroom, at least they were consenting adults who simply picked an inappropriate location to have their intimate moment. On the other hand Howard Kwait allegedly sexually harassed two female Assistant Principals and was fined by the Conflict of Interest Board for taking a trip overseas with a female staff member of the school. Which is worse? The two female teachers having an intimate moment in an empty classroom with no students on the floor or Principal Howard Kwait, who's actions cost the city $500,000 to settle the lawsuits against him and his ill-advised all expenses paid trip with a female staff member overseas that cost him $4,500? To me it's definitely the latter. It just goes to show that the DOE's "double standard" continues be it Mayor Bloomberg or De Blasio. Another Example On Why Restorative Justice Does Not Work - John Adams High School. Since Bill de Blasio became Mayor and appointed Carmen Farina as Chancellor, the New York City Public Schools feel more unsafe. First, was the elimination of the cellphone ban that has resulted in mass student academic distractions. Then it was the effects of the more lenient student discipline code that saw suspensions plummet but allowed the school environment deteriorate as misbehaving students were returned back to his or her class to distract the classroom learning process. Finally, the emphasis on "restorative justice" that is a joke to chronically misbehaving students who learn quickly how to play the system and continue to distract other students and reduce teacher authority as they are quickly returned to class. A case in point is John Adams High School, a "time out" renewal school that has seen their suspension rates drop from 382 in 2011 to 93 this year. The reason is that many incidents are downgraded or not reported outside the school. As one teacher said about the reduction of confiscated weapons at the school. Many staff believe the school is unsafe and there is a report that the entire Science department did not reapply for their positions next year. Moreover, the Principal is widely disliked as he refuses to take real action against misbehaving students and has even allowed an 18 year old student who allegedly taped a sexual performance by a minor and was arrested by the NYPD who now faces criminal charges, was still allowed to attend graduation with his class. Susan Edelman's piece goes into further details about the school. Back in April Chalkbeat also wrote about John Adams High School as well. Unfortunately, John Adams is not the exception. There are far too many schools who have unsafe environments, many of them renewal schools like Flushing High School. Not only is social justice crap but is downright dangerous in many of our struggling schools. To the Mayor, DOE, and the Unity and MORE caucuses of the UFT, you should be concentrating on smaller class sizes, adequate school resources, and school safety not this restorative justice crap that does not work. In only makes schools unsafe. The New York Post Article On Renewal School Teachers Is More Myth Than Fact. The pro charter, anti public school teacher New York Post published an article of what happened to the 98 teachers that either did not decide to reapply for their jobs or were not selected for the "time out" renewal schools. According to the New York Post, all these 98 teachers were "ineffective teachers". How they came to that conclusion is beyond me since they show no proof of the teacher ratings that would allow the Post to show such a claim as being true. In fact, many of the best teachers at these "time out" renewal schools opted to not reapply for their positions, due to the more demanding workload, increased stress, and a "high needs" student body that will remain unchanged going forward. What bothered me more than the New York Post calling all 98 teachers who left or were not selected to their "time out" schools "ineffective". was how the article ignored the real issues concerning these renewal schools. First, the renewal schools have one thing in common. a significant amount of the student body are "high needs" students. Many of them all level 1 students and have significant academic issues, require Special Education services, or are English Language Learners. All three categories are heavily represented in the renewal schools. Second, no parent of academically achieving students will allow their child to attend, much less apply, to these renewal schools. How the DOE will attract higher performing students to their renewal schools is unknown and not presently happening. Without an academically proficient student body, the renewal schools will continue to struggle academically and that's a fact! Third, few veteran teachers apply to teach at renewal schools due to the factors I mentioned previously. In fact, when the original "time out" school, Automotive High School, was given a list of :"highly effective teachers" not one wanted a position at the school. The result was the school ended up with a "newbie" teaching staff, with no classroom experience. Fourth, lets not forget the mediocre school administration that seems to accompany the renewal schools. Few principals or assistant principals who or shinning stars in the system will accept positions in the renewal schools. Many are from the failed Leadership Academy and they believe in the top-down model and with little or no staff collaboration. To make maters worse is the entire renewal school program is run by the Superintendent from hell, Amiee Horowitz, who is known to discontinue many untenured teachers. Finally, the DOE's "fair student funding" formula penalizes schools who want to hire veteran teachers and schools that hire teachers are likely to hire the "cheapest and not the best teachers" for their school and that's especially true for the renewal schools who need to hire as many teachers as they can, due to the high teacher turnover, and since it cannot attract veteran teachers, they end up hiring the "newbies" because of their budget limitations and failure to attract "quality teachers". In other words, the New York Post article is more a myth and lacks facts when it comes to their opinion on "ineffective teachers". Please read nyc educator as he blasts the New York Post for publishing an article that makes an erroneous conclusion without showing the data to back it up. Democratic Platform Is Pro Public School But What About Hillary Clinton? Allowing parents to "opt out" their children from high-stakes tests. Eliminate the use of those tests to evaluate teachers. Charters should not destabilize or replace traditional schools. Only high quality public charter schools should be funded. Charters must represent the demographics of the community. The entire platform can be found Here. Sounds good right? Unfortunately, there is a problem, the Democratic platform is not the President's platform and Hillary Clinton, despite her friendship with AFT President Randi Weingarten is very close to many hedge fund managers who are the source of funding for the for profit charter schools and some of her closest advisers are part of the education reform movement and believe in teacher accountability by high-stakes testing. What would Hillary do as President? The answer is unknown. The real problem is that Hillary Clinton is considered dishonest and untrustworthy by 67% of the voters and she and her husband has way too much baggage to dismiss. 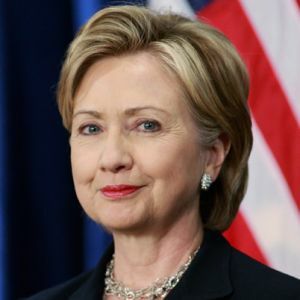 Be it her email issue, Benghazi, her secret paid speeches to Goldman Sacks, and of course her skirt-chasing husband. While she may not be a crook as Donald Trump likes to say, it certainly appears she believes she is entitled to do as she pleases and the rules don't apply to her. That's why what she would do as President when it comes to education policy is unknown. Hopefully, Hillary's friendship with Randi Weingarten and the blowback the Obama administration has received as parents and even States rebelled against the Obama imposed high-stakes Common Core tests which forced the resignation of the Education Secretary, will result in the Democratic party's education plank to become policy. Only time will tell, assuming Hillary is the new President . Why Have Teacher Salaries Remain Essentially Flat Since 1990? Its Demographics. A study that compared the average teacher salaries nationwide, between 1990 and 2010 have found that teacher salaries have remained essentially flat during the study period. In 1990 the average teacher salary was $53,028 and increased to only $54,819 in 2010, an increase of only 3.3%. By contrast, inflation rose 67% between 1990 and 2010, which should result in an average teacher salary of $88,500 dollars. Why the difference? The answer is the demographics of the teaching profession. Back in 1990 teaching was considered a long-term professional career with the average teacher working 15 years and that there were more 20 year teachers than new teachers in the nation's public schools. However, that all changed with people like Bill Gates, Michael Bloomberg, and Eli Broad and the deep pocketed education reform organizations who demonized and blamed teachers for society's ills. The buzz word was "teacher accountability" and all students could succeed if only they had a "quality teacher" in the classroom. This resulted in States developing teacher evaluation systems, complete with "junk Science" called the Value Added Method (VAM) that was supposed to measure student growth and assign a value to a teacher's effectiveness. 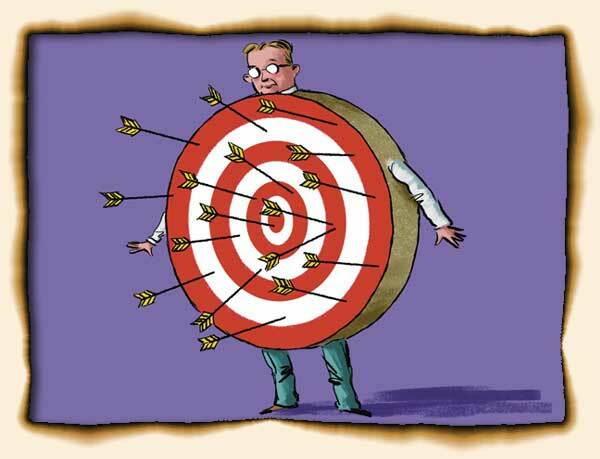 The VAM errors were so bad that many States are revising or abandoning their hastily developed teacher evaluation systems. Unfortunately, the damage to the education system has been already done. Teacher experience, once prized, was considered unnecessary as administrators wanted young and cheap teachers who were easier to control. In places like New York City, hiring experienced teachers came with a financial liability to the school. Many long-term teachers have resigned or took early retirement due to the added stress and unfair evaluation metrics being used to grade them. The result is an emerging teacher shortage nationwide as fewer prospective teachers are going into the profession and less teachers are staying long-term. The chart above shows how the demographics have changed during the era of education reform. Before education reform the majority of teachers stayed for 15 years and longer and were fully vested in their students educational goals while getting a livable wage and a secure pension, Now that education reform has done its damage to the teaching profession, students are subject to high teacher turnover, an unstable school environment, and reduced educational achievement as new teachers struggle to learn and teach the curriculum. The bottom line is that the students are simply guinea pigs to untested.programs, unnecessary field tests, and a steep learning curve for the "newbie" teachers. Is it any wonder that the average teacher salary nationwide has remained essentially unchanged? The majority of teachers are now "newbies", with one year of experience and what was once a long-term professional career has become a stepping stone, to a career outside the classroom. How that is good for student academic achievement is beyond me. If you have been following the news in the last month we now have another candidate for my "bad principals" posts. He is Leadership Academy Principal Steve Dorcely, with his only teaching experience as a substitute teacher before becoming an administrator. He runs one of the failing Bloomberg small schools at the Carnarsie campus. The school is called the "Urban Action Academy" with only 299 students, a 60% graduation rate and only a minuscule 5% "college and career readiness" score. That metric is a 12.0 score and makes it a real diploma mill with little educational achievement (according to me a metric of 3 to 1 or less is required for a school to produce academically proficient students). Only two high schools in Queens have worse statistics than the "Urban Action Academy". The Principal and one of his assistant principals have been accused of Regents cheating by staff and failed to seriously investigate a cyber hacking incident against one of the school's teachers. Instead the DOE's Office of Special Investigations will now do the investigation, when the Canarsie campus head of security notified his superior of the incomplete investigation by Mr. Dorcely of the cyber hacking incident. Interestingly, Principal Dorcely claims he now is doing the investigation himself and miraculously has now identified the two students who were involved in the cyber incident he previously claimed he was unable to identify.. Will the DOE allow this principal's self-serving phony investigation to continue? Past experience would seem to confirm that the DOE will hope the media attention will fade and its back to business as usual at the failing school. Teachers who try to stop students from cheating are discriminating against them and should “back off”. I guess the Urban Action Academy is just another academic fraud factory that graduates academically unprepared students. Is this what Chancellor Carmen Farina wants running our public schools? Class Sizes Continue To Increase Under Mayor Bill De Blasio. One of Bill de Blasio's campaign promises was to reduce class sizes and no longer make New York City the school system with the largest class sizes in the State. Well the latest data has shown how hollow the Mayor's class size promise is. A recently published study has shown that there has been a significant increase in class sizes, across the board, with the greatest increases occurring in the younger grades. The study prepared by the Education Law Center shows that class sizes continued to increase in 2016 and violates the 2007 City class size limits under State law. In fact, 80% of the city public school students are in classes that exceeded the State limit. In 2007, city Education Department officials followed state law in setting average class size goals of 19.9 students for kindergarten through third grade, 22.9 students for fourth through eighth grade and 24.5 students for high school. Income Inequity Is Due To Education, Family, & Community. Over the years various studies showed that social-economic factors had a strong correlation with the success of children as they reached adulthood. Most show that 80% is associated with family and community while the remaining 20% are associated with the schools and only between 1% and 14% on their teacher. A Pew study showed that the highest paid cohort were Asian men. That's right, this cohort averaged $24 dollars per hour while White men averaged only $21 dollars per hour. Lagging far behind were African American males at $15 per hour and Hispanic males at $14 dollars per hour. For the last two minority groups these wages remain essentially unchanged since 1980 while Asians and Whites have seen significant gains since. Interestingly, the gender gap between men and women have narrowed significantly since 1980. As White women have narrowed the income gap from 60 cents to 82 cents ($17 dollars per hour) compared to white men. The highest paid women were Asian and they averaged $18 dollars per hour. By contrast, like their male counterparts, Black and Hispanic females lagged far behind at $14 and $12 per hour respectively and showed only a slight increase over 1960 levels. Pew's findings may feed into the stereotype of Asians as the "model minority," which holds up Asians as studious and hard-working and can come with its own set of negative issues. The stereotype fails to view Asians as individuals, and ignores economic differences within Asian communities, for instance. Post-recession years, workers with college degrees have pulled farther away from those with only high school degrees, in both earnings and job opportunities. About 53 percent of Asian-Americans older than 25 have college degrees, compared with just 36 percent of whites, 23 percent of blacks, and 15 percent of Hispanics, Pew noted. 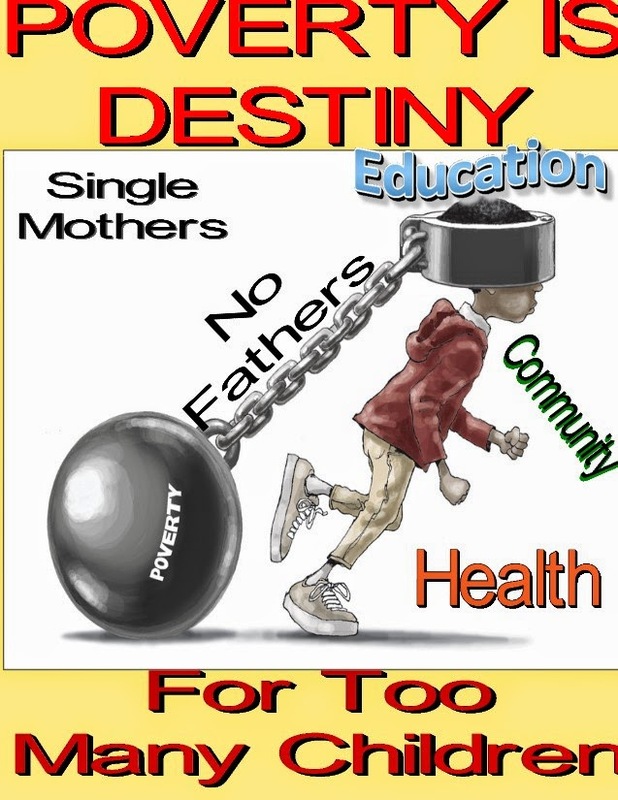 While a zip code is not destiny, it makes it extremely difficult to break out of the deep poverty, unsafe community, and poor school environment that plagues many urban schools and limits the income potential for many minority students who come from single parent households who are more concerned with their economic needs and safety than becoming a successful adult. Why Won't The Union Or DOE Publish A Breakdown Of The Open Market Transfer System Statistics? Previously Gene J. Mann spouted the Unity line how successful the Open Market Transfer System (OMTS) was. He rattled off how 4,000 educators transferred annually, compared to 300 before the OMTS was instituted. Of course, Mr. Mann, a Unity retiree in good standing, failed to mention that for veteran teachers the OMTS was a sick joke, Moreover, he also failed to mention how it ensured that untenured teachers would leave struggling schools in droves through the OMTS, resulting in high teacher turnover, and an unstable educational environment for these schools. Just look at the renewal schools where "newbie" teachers are hired only to leave as quickly as possible, ensuring their continued failure. Finally, Mr. Mann failed to provide the statistical breakdown of those teachers who obtained positions through the OMTS, based on years of experience, salary, age, and tenure. All this I have written about previously. However, what I failed to include was why there were so many teachers (mostly untenured) who used the OMTS than before there was one? The answer to that question is quite simple. Before the OMTS, all excessed teachers in the District had to be first placed in vacancies before the vacancies could be filled by other teachers. That significantly reduced the amount of vacancies available for other teachers to transfer to. Moreover, about 50% of the vacancies were hidden and if too many teachers left a school, the Principal could refuse to release the teacher. The combination of these three factors, excessed teachers filling a vacancy, hidden positions, and Principal refusal to release the teacher kept actual teacher transfers to a minimum. However, except for archaic or discontinued titles (typing teacher, home economics teacher, shop teacher, etc.) 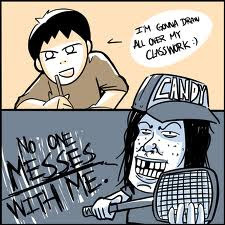 there were few excessed teachers in the school system. Thanks to the terrible 2005 contract that all changed. The OMTS was developed and with disincentives like the school-based "fair student funding", it resulted in the explosion of the Absent Teacher Reserve (ATR). Add that to the closing of 163 schools under the Bloomberg administration and we now have between 1,000 to 2,000 ATRs (excessed teachers) in the school system, many of them "quality teachers" who because of their age, salary, and experience cannot find a permanent position. Before hailing the success of the OMTS Mr Mann should obtain and publish a statistical breakdown that both the union and the DOE has available but refuses to release. The reason for not releasing the information is that both are guilty of discrimination on a massive scale. If they object to my conclusion than produce the statistical breakdown and let us see the truth. The DOE's Evil Empire Continues. It was only two years ago when Carmen Farina was made Chancellor and UFT President Michael (don't call me Mikey) Mukgrew claimed there was a new tone at the DOE. However, we now know that the evil empire at the DOE did not change but continued as the Chancellor kept 80% of the Bloomberg policymakers in place at Tweed. 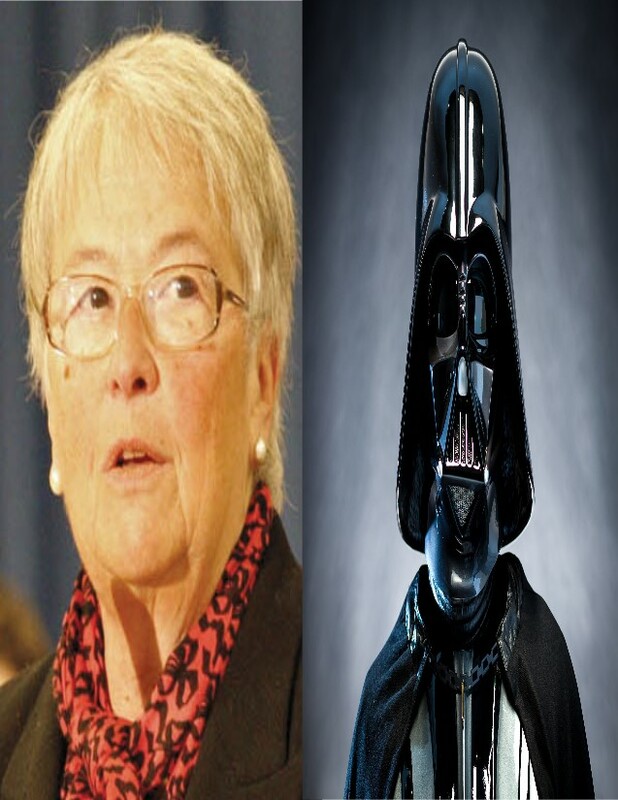 Under Chancellor Carmen Farina, she has maintained large class sizes, a bloated DOE Central, froze already tight school budgets, kept the destructive "fair student funding" and refused to remove the incompetent and vindictive Leadership Academy Principals that she promised to do. 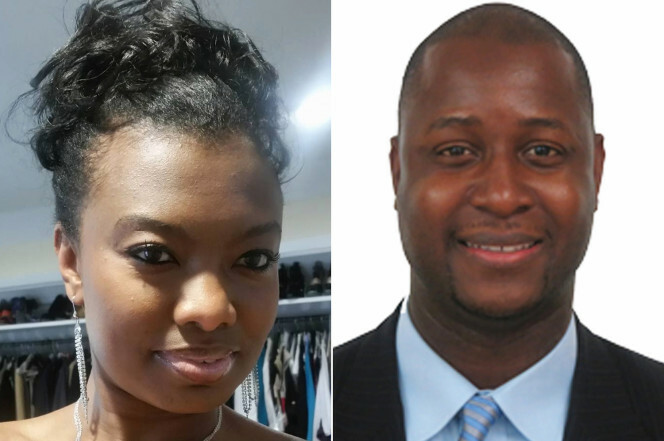 Read about the latest Leadership Academy Principal with no classroom experience who's in trouble for alleged grade fixing and cheating on the Regents. Worse, was the requirements imposed upon the ATRs under Chancellor Carmen Farina. First there were the field supervisors who were supposed to assist the ATRs to get positions but in reality they were used to help terminate the ATRs. Then there was the 2014 contract that made ATRs second class citizens and some became untouchables, Finally, the DOE decided to abuse the ATR Agreement by misapplying rotating ATRs into temporary provisional appointments simply for the purpose to terminate them in a one day expedited 3020-a hearing. 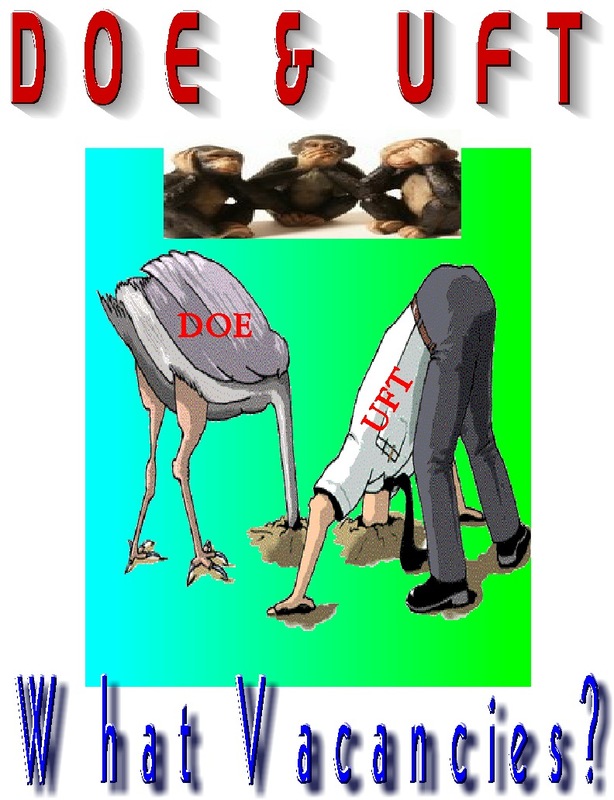 It now appears the disconnected union leadership has finally realized that the evil empire still exists and has refused to extend the ATR agreement after they saw first hand how the DOE was abusing the provisions. What is really disturbing is that the union was willing to extend the ATR agreement, with minor changes, until the DOE overplayed their hand and systematically was abusing the temporary provisional assignment simply to terminate ATRs under the ill-defined "problematic behavior" clause. 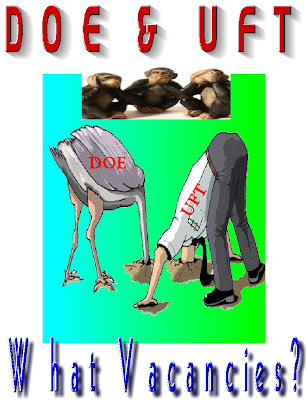 Some people speculated that the union's silence on the ATR agreement extension was due to their embarrassment on the DOE actions concerning the abuse of the ATR agreement but I believe that the union leadership kept silent because they were hoping to negotiate a continuation of the ATR agreement with some minor changes that protected ATRs from further abuses. When it was apparent that the DOE's intent was to terminate as many ATRs as possible, the union had no choice but to let the ATR agreement sunset and revert back to the 2011 agreement which you can find Here. 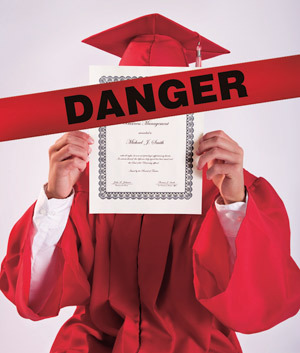 The New York Post's Selective Memory When It Comes To The Bogus Graduation Rates. I could only chuckle when the New York Post's Editorial Board criticized the rising graduation rate under Mayor Bill dr Blasio. While the graduation rate does not reflect actual college and career readiness, that's always been the case In fact, I ranked all unscreened Queens High Schools and found that the average graduation rate to college readiness was 3 to 1. Schools with higher ratios were simply diploma mills and one could question whether the students actually received an education in these schools? Interestingly, the New York Post never seemed to question the bogus graduation rates under Michael Bloomberg, despite the massive amount of phony credit recovery courses, academic fraud, and grade changing that occurred during his time as Mayor. In fact, the New York Post Editorial Board hailed Michael Bloomberg's education policy as a success and pointed to the very same rising graduation rates they now criticize under Mayor Bill de Blasio. This was, despite 77.6% of high school graduates needing remedial courses in college. Unfortunately, Bill de Blasio has made no significant changes to the New York City schools. He chose a Tweed insider, Carmen Farina, as Chancellor, who retained 80% of the Bloomberg policymakers and kept the destructive "fair student funding" which forced schools to hire "the cheapest and not best teachers" for their schools and even froze school funding at 86% of what it should be. 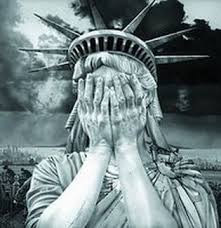 In fact, things have become worse as he allowed cellphones in the schools and weakened the student discipline code, while keeping many of the Bloomberg policies in place like large class sizes, incompetent and vindictive principals, and the overall "education on the cheap" policies. Maybe the New York Post Editorial Board should investigate the bloated DOE budget and determine why the resources are not getting to the schools and more importantly, the students? Now that would be a worthy editorial.